The truth is we’re not quite sure how this happened. It’s Thursday and the first final of the AFL 2016 finals series is played tonight. Somehow, in the madness leading up to Melbourne’s favourite month of the year (the Grand Final is October 1, joy! 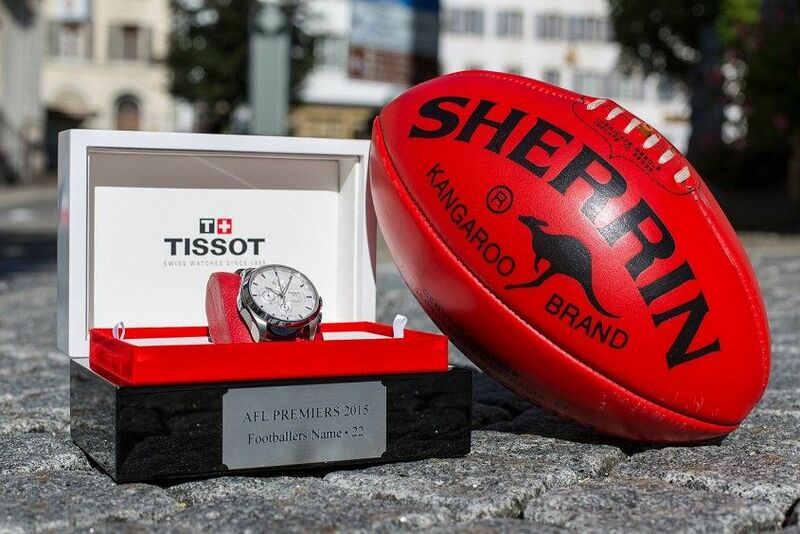 ), double Premiership player for the Hawks (2014, 2015) Taylor Duryea found time to come in to the office to talk about a watch that holds special significance for him – the Tissot Premiership Watch. The first thing I asked; is the band still soaked with champagne? “They didn’t give them to us to take out on the night we won, so no. Our medals, which we had, are so dinged up. There’s scratches all over them.” Find out more in this punchy two minutes of power. And may the best team (the Swans) win!